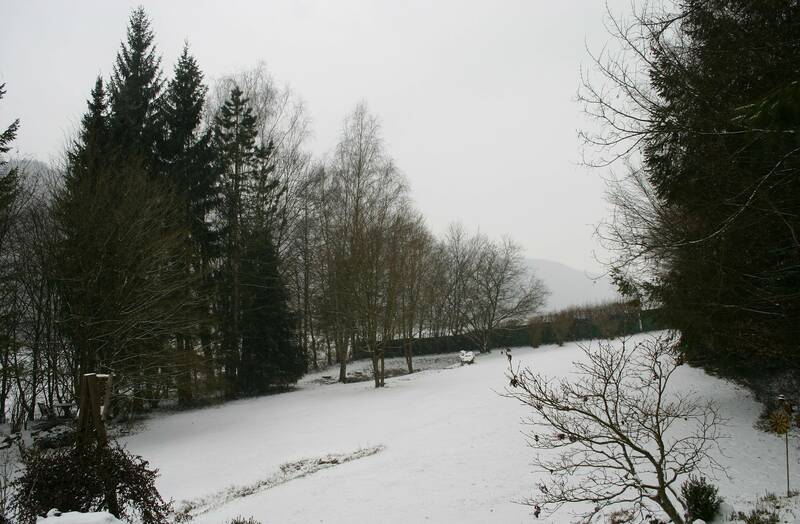 It’s been snowing since last night, and the temperatures are once again hovering around freezing point. The forecast is no better. Any signs of spring have been covered in snow again! Here’s the very same tulip on March 21st LAST year! This entry was posted in Days, Garden, Nature, Tuesday View and tagged Garden, Nature, Seasons, Spring, Tuesday At Two, Winter. Bookmark the permalink. Your area is as hard hit as most of the northern half of America. I think it’s forsaken us this year! Yesterday I woke to snow falling and an eventual accumulation of 3 inches. It all melted by 4. Like you last year at this time we had temps in the 70s! It’s crazy. And the snow is actually settling! 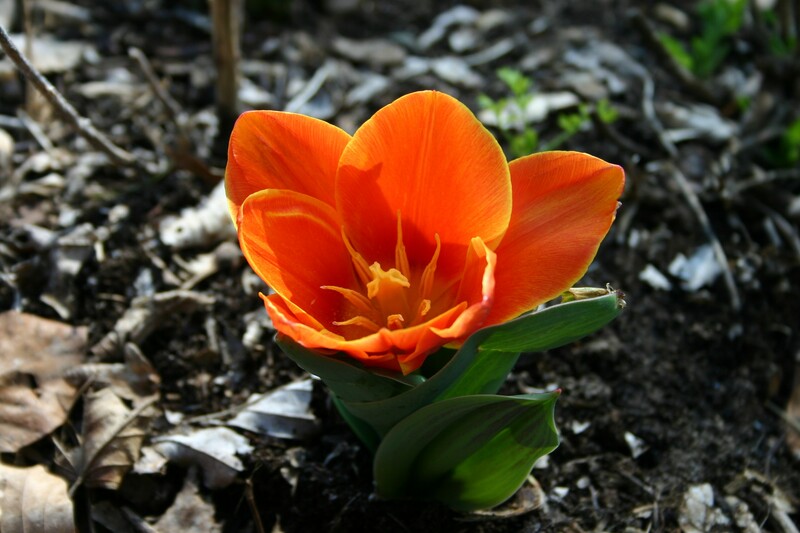 Oh your tulip and crocus are so lovely! Snow and cold! Sending you a FEW of the sunbeams and degrees forecast for today. That’s a lot of snow. You are going to have a quick turn round into spring. Oh, you’re still getting snow! But think of how wonderful that moisture will be for the plants…. 🙂 At least you have a few blooms, though! Lovely! Winter has a grip this year. 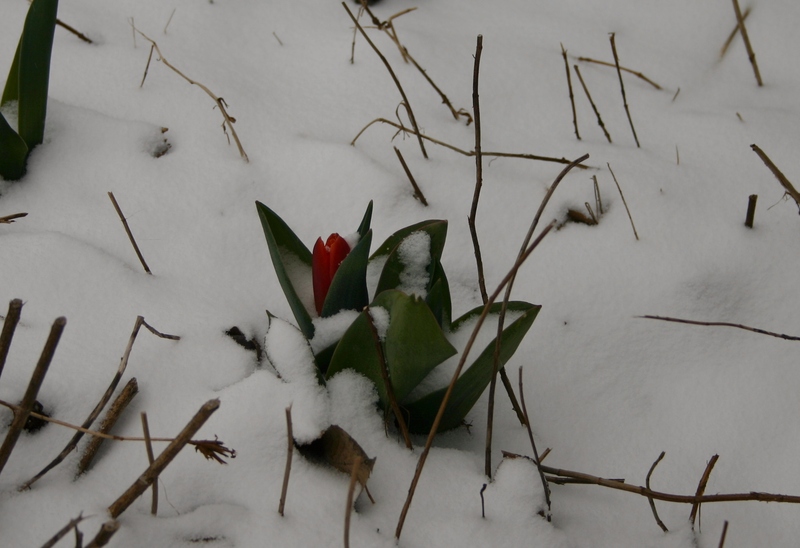 Hope the tulip will open once the snow disappears…lovely color it will be. It’s a very hardy one, always the first to appear. Thanks Susie – have a nice day! What a difference a year makes Cathy. Here the latest batch of snow arrived here on Thursday and was quite dramatic. Just a few flurries this morning but still bitterly cold with an east wind. You will appreciate that tulip even more when it reappears. Hi Anna – hope you get some tulip weather soon too! Feels like it’s been winter here for about 18 months now. I’m so looking forward to seeing your Tuesday photo showing green grass, flowers and a sunny, blue sky! Me too! I can hardly believe it will ever happen though…. Let’s see what April brings! I love the tulip photos! Nature’s time comes when it is ready – it can’t and shouldn’t be rushed. That lovely tulip will be in bloom before you know it. Yep! 😉 Spring is having a joke with us! Well, it is a beautiful tulip, and the snow provides great contrast! The weather here is slowly improving. Hang on, spring will come eventually. What optimism – thank you! It’s finally better here – so it can’t be much longer for you, right? Hope so Marie! It is unusually cold still. Oh My, Keep warm and keep thinking happy thoughts…. I’m doing my best, but have decided we’re entering the new Ice Age! LOL!